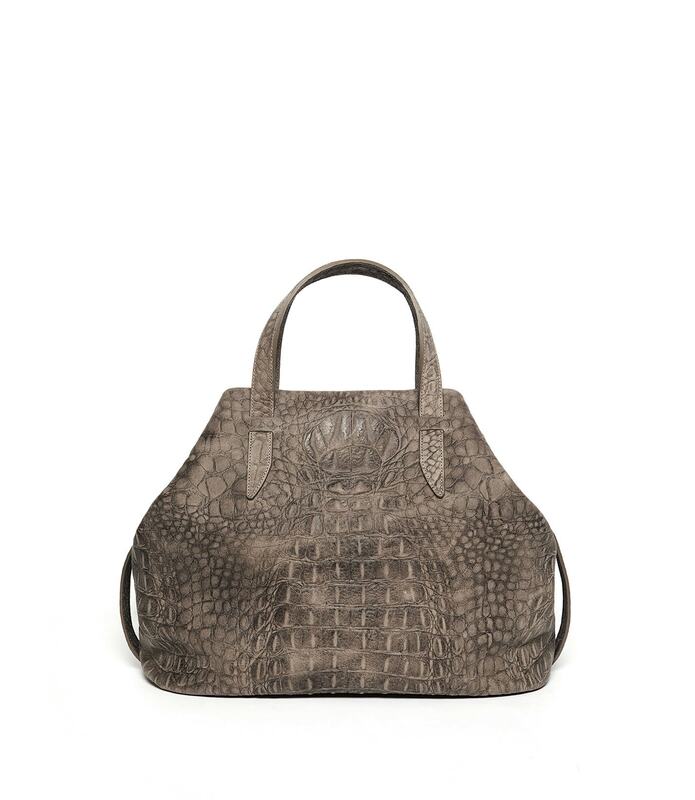 Lucia is a soft-structured tote bag in croco print leather with snap-down side panels, top button fasteners, a detachable shoulder strap and short top handles. The interior is leather lined with two interior zip up pockets, a key holder and there’s a leather compartment for your phone. 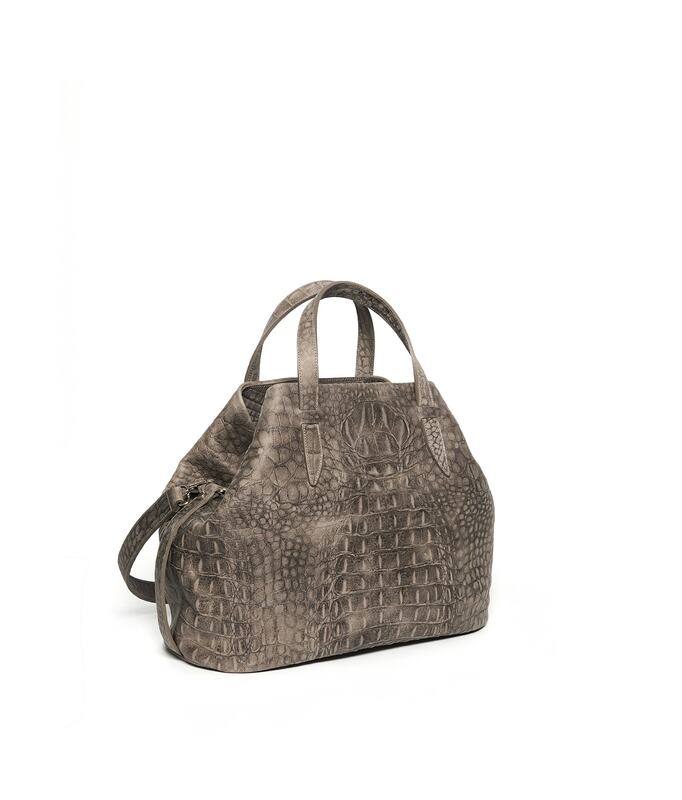 All LILU bags are designed and handcrafted in Belgium.